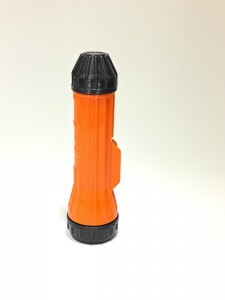 2 D-Cell and PR6 bulb safety approved 900 series flashlight. Non-waterproof. Does not come with a spare bulb and holder. Orange body with black fittings.